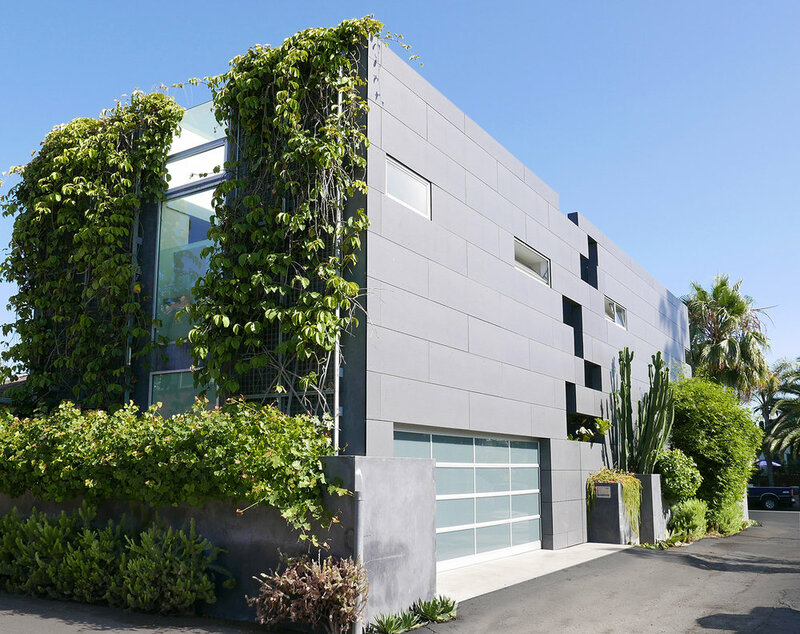 This unique California home is located in the heart of Venice; adjacent to the bustling shopping street Abbott Kinney and blocks from the beach. Chris Rossi Studio completed a complete renovation of the interior as well as the exterior facade and property. The entire interior was re-done. We are not just talking about finishes! This home was redesigned down to each door jamb and base detail. It is a minimalist dream; boasting items such as reveal base details, flush door casings, full height recessed pocket doors, flush electrical outlets and a completely new custom steel and walnut stair. All interior casework is custom designed to be highly functional yet minimal in appearance. The newly renovated home was designed to function off-grid with solar panels housed on the roof of the second building. All lighting is LED and trimless. The renovated exterior includes a new color concept, new cement board panels, an added green wall on the rear facade and a new entry and courtyard space, as well as a new rooftop kitchen, fireplace, lounge and spa. The incredibly lush landscaping, designed and implemented by by Jack Price Designs, brings the exterior to life. Interior stair detailing: James Bowen Architect. Original architecture: David Hertz. Furnished by Owner.